First Financial’s Freehold/Howell Service Center is Now Open! First Financial Federal Credit Union’s newest branch is now open for business at 389 Route 9 North (next to the Howell Park & Ride) in Freehold, NJ 07728. Pictured above: First Financial’s new Freehold/Howell Service Center – now open! The credit union’s newest branch will be a primary banking location for approximately a quarter of the credit union’s 20,000 members. First Financial’s newest branch features many important banking conveniences such as a drive thru, drive up and walk up ATMs, and more. A ribbon cutting ceremony and grand opening week featuring outdoor activities is planned for warmer weather, and will take place starting Monday, April 27th. Stay tuned for future details! Pictured above: The teller line inside the new Freehold/Howell Service Center. 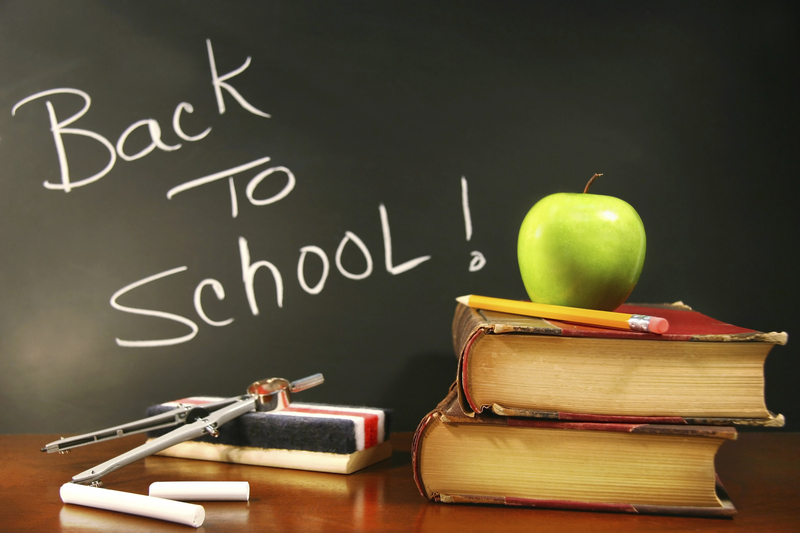 The shopping spree may start months, weeks or maybe the day before the school year begins. Buying a dozen pencils and a few Trapper Keepers won’t cut it for today’s students. The back-to-school buying binge may include trendy new clothes, shoes, sneakers, in addition to hefty expenses for extracurricular activities. For older kids, a new laptop, tablet or mobile phone may now be essential. It all adds up fast! According to a recent survey by RetailMeNot and The Omnibus Company, parents spend nearly $660 a year on school-related costs for their family. But spending on your kids can offer some practical lessons that you can use to teach them about money. Only 17 states require students to take a personal finance course before they graduate from high school, according to the Council for Economic Education, so the responsibility of teaching kids how to manage, grow and protect their money often falls on parents. No matter how old your child is, here are three key lessons that you should teach them as they head back to school. 1. Wait before you buy. Stress to your kids the value of delayed gratification. 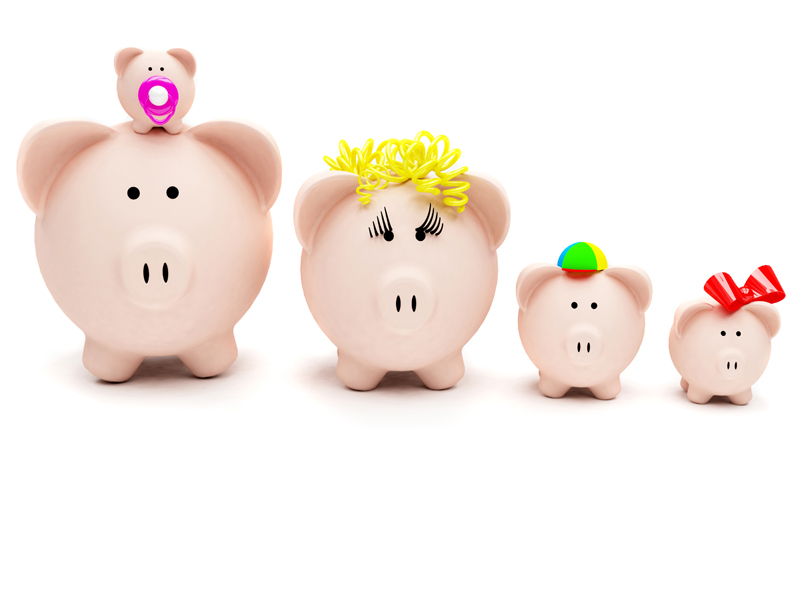 Start your child off with a piggy bank when they are about 5 or 6 years old. This can teach your child the importance of saving enough money for something they really want such as a toy or treat. Also show them how much they could save if they wait until an item goes on sale. You might explain to your child that you only have money to buy essential classroom supplies right now, but by December you’ll have enough money to buy him or her a new laptop after the holidays when they are on sale. 2. Compare prices before you buy. Shopping around before you buy is a great way to get the best deal and save money. You can comparison shop for everything, whether it’s for groceries or a new refrigerator. When you do this, bring your kids along on the trip or show them the items that you are thinking of buying at online stores. It will rub off. This will instill the value of saving in your kids and they can start to use it in their life. For example, for Christmas, when your son or daughter makes a “Wish List” of gifts they’d like from Santa, they can add extra information. This extra information could include the best price he/she found online for the tablet, videogames and sneakers and the name of the retailer they want. Now, they will know how much is being saved with a discounted pair of shoes or clothing that they have selected. 3. Remember, a credit card is like a loan. Get out of the habit of pulling out plastic for every purchase. Using cash and figuring out the change is a terrific math lesson for younger kids. Explain to them that using a credit card is like taking out a loan to make that purchase and you need to borrow wisely. You need to make sure you can afford that new pair of jeans or iPhone before you buy it. Let them know that credit cards can wreck finances. Rates on some store credit cards can top 20 percent, raising the price of that purchase significantly if you don’t pay off the entire balance on time. For your high schooler who may want his or her own credit card, start off with a debit or prepaid card that you can monitor first. Once you co-sign for them to get a real credit card, remember that if your kid doesn’t pay the bill, it will hurt your credit score, too. *APR varies when you open your account based on your credit worthiness. This APR is for purchases, balance transfers, and cash advances and will vary with the market based on the Prime Rate. Subject to credit approval. No Annual Fee. Other fees that apply: Cash advance fee of 1% of advance ($5 minimum and $25 maximum), Late Payment Fee of up to $25, Foreign Transaction Fee of 1% plus foreign exchange rate of transaction amount, $5 Card Replacement Fee, and Returned Payment Fee of up to $25. A First Financial membership is required to obtain a VISA Platinum Card and is available to anyone who lives, works, worships, or attends school in Monmouth or Ocean Counties. **A $5 deposit in a base savings account is required for credit union membership prior to opening any other account. All personal memberships are part of the Rewards First program and a $5 per month non-participation fee is charged to the base savings account for memberships not meeting the minimum requirements of the program. Click here to view full Rewards First program details. Accounts for children age 13 and under are excluded from this program. Article Source Courtesy of Sharon Epperson of Today.com. Booking a hotel stay for a summer vacation? Before you check in, check out how scammers can try to take advantage of travelers. Always be aware and on the lookout for possible scams! The late night call from the front desk. You think you’re getting a late night call from the front desk telling you there’s a problem with your credit card and they need to verify the number, so you read it to them over the phone. But it’s really a scammer on the line. If a hotel really had an issue with your card, they would ask you to come to the front desk. In another scam, you find a pizza delivery flyer slipped under your hotel door. You call to order, and they take your credit card number over the phone. But the flyer is a fake, and a scammer now has your info. Before you order, make sure you check out the business (ensure it’s a franchise or reputable), or get food recommendations from the front desk. You search for Wi-Fi networks and find one with the hotel’s name. But it turns out it’s only a sound-alike and has nothing to do with the hotel. By using it, you could give a scammer access to your information. Check with the hotel to make sure you’re using the authorized network before you connect. Read more tips on using public Wi-Fi networks. Always lock your car, and don’t leave anything valuable in your vehicle and/or visible. Try to park your car as close to the front office of the hotel as possible. Don’t leave anything valuable in your room unless there is a secure way to do it (like an in-room safe). Check your credit card statement after your stay to make sure it’s accurate. Be weary of hotel booking websites – there have been instances of advertisements claiming that for booking a hotel room you can receive a complimentary gift card from a known retailer. When clicked on, the scammers will oftentimes ask for a credit card number and more personal info. Haven’t booked your trip yet? If you’re thinking of getting a vacation rental, take a moment to read up about rental listing scams. And check out these other travel tips, including tell-tale signs that a travel offer or prize might be a scam. Don’t wait until it’s too late! To learn more about our ID Theft Protection products, click here and find out how you can enroll today. Article Source: Amy Herbert – Consumer Education Specialist for the FTC, http://www.consumer.ftc.gov/blog/hazards-hoteling. You’ve probably heard over and over that it’s important to have a credit card or two and to use them responsibly if you want a high credit score. No doubt you’ve also been told that making monthly, on-time payments on your mortgage and car are other ways to keep your credit score healthy. All true. Your credit score — for young adults perhaps just joining the credit conversation — is the number credit bureaus offer up as a symbol of your ability to repay a loan. Generally, the credit score number everyone is concerned with is the FICO credit score, which ranges from 300 to 850. The higher your score, the more likely lenders will allow you to borrow money, and the better the rate you’ll qualify for. But what if you would like to see your credit score climb — but you’re not crazy about having a credit card? What if you live in an apartment and aren’t making mortgage payments? What if you live in the city and take the subway? What then? Here are some somewhat under-the-radar ways to build credit for those who prefer the road less traveled. 1. Use Your Rent Payments to Build Credit. For most of credit and rental history, on-time rent payments haven’t officially counted as a sign of someone who is responsible with money. Things are slowly changing, however. Since 2011, Experian has included rent payments in consumers’ credit histories. But it isn’t automatic. If you want your rent payments to be included, you need to be proactive and opt in. There are a number of websites that will send rental-payment information to the credit bureaus. Consumers who visit WilliamPaid.com can register and pay their rent through the site, and it’ll be reported to Experian (it’s free if you opt for electronic withdrawal; if you pay with a credit or debit card, it’s 2.95% of the total payment; if you pay in cash, a $10 flat fee). 2. Get a CD Secured Loan. CD secured loans are typically extended by credit unions, precisely to help members build or rebuild credit reports and credit scores. Some community banks also offer them. “Credit reports only track money you’ve borrowed,” says James Miller, owner of Biltmore Wealth Advisors, LLC. That’s why credit reports don’t include information on whether you’ve been paying your utility bill and monthly rent on time, he adds. Miller suggests consumers check out Payment Reporting Builds Credit, a national company that has been around since 2002 and allows consumers to sign up for free and self-report payments like rent, rent-to-own purchases and utilities like your water or electric bill. “PRBC might not yet have the clout of the big three credit bureaus, but a solid report from PRBC might be enough to get your foot in the door with a lender,” Miller says. The PRBC site is free to use, but not all self-reporting third parties are free. Keep in mind that none of these strategies will work if you don’t pay your bills on time. In fact, you could make things worse by self-reporting if the information being reported shows you’re always late with bills. But if you are paying without trouble, and you simply don’t own a house or credit cards and aren’t making payments on car or student loans, then getting lenders to see that you’re consistently paying bills on time may just lead to a higher credit score — eventually. “The quickest way to build up a favorable credit score is to borrow and pay back the debt on time. There really is no way around that,” Miller says. “It isn’t necessarily hard — it just takes discipline,” says Hitha Prabhakar, a retail and consumer analyst based in New York City and a spokesperson for Mint.com, a free and well-known money management website. Having a well-paying job also helps. A good relationship with your bank or financial institution is another plus, Prabhakar adds. 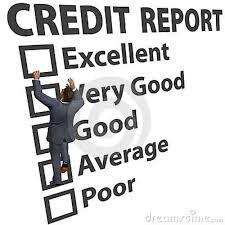 But above all, a long credit history without a lot of black marks is what will really make all the difference. Click here to view the article source, from Dailyfinance.com.